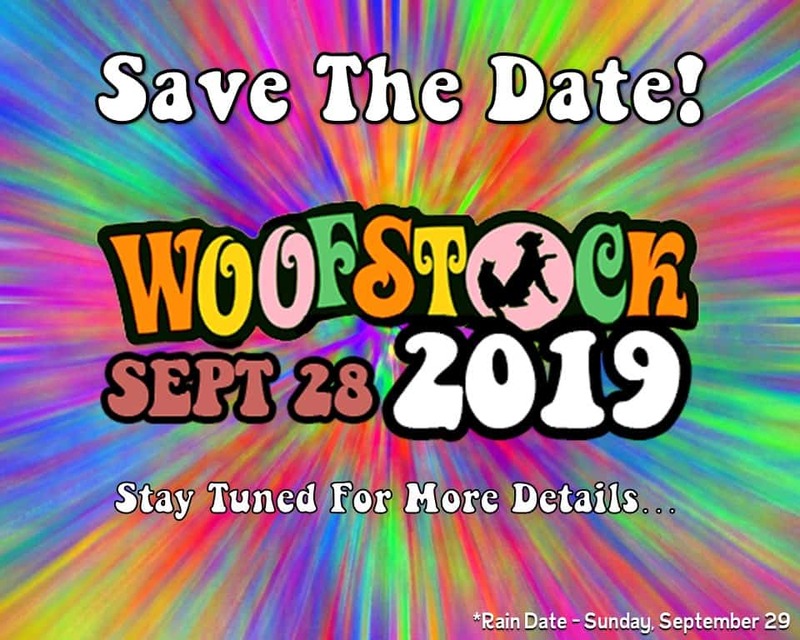 Our 23rd Annual Woofstock Festival is officially scheduled for Saturday, September 28, 2019. (Rain date is Sunday, 9/29). By popular demand, we are moving the festival to the Voorhees Town Center. Last year’s last minute venue change proved to be a blessing in disguise. This site provides ample and easy parking for all. Plus, we will no longer have to worry about soggy field conditions or that long walk up & down the hill between the parking lot and the festival! Sponsorship – Becoming a Woofstock Sponsor is a great way to maximize your company’s visibility in front of THOUSANDS of pet-loving people! There are many different levels of Woofstock Sponsorship available. You can learn more about them by clicking HERE. Vendors – Vendor registration is now OPEN! You can find the vendor application by clicking HERE. Please note, we do NOT duplicate direct sales types of vendors (ex. Avon, Tastefully Simple, Arbonne, etc.). These spots will be filled on a first come, first served basis. Animal Rescue Groups – Vendors fees are waived for registered 501c3 Animal Rescue Groups and Shelters. Animal Rescue registration is found HERE. Please note, non-animal-related 501c3 organzations are not elligible for free vendor space. In the meantime, keep an eye on this page, and follow our Woofstock 2019 event page on Facebook to keep up with the latest Woofstock announcements. Woofstock 2019 is coming! We can’t wait to see what exciting new things this year will bring!